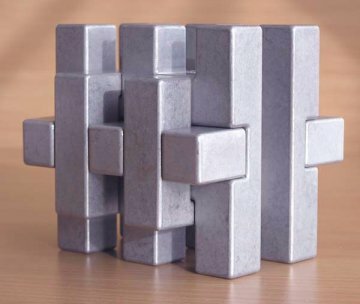 Symmetry III - metal sculpture puzzle hand finished and imported from America (this puzzle normally takes several weeks to be delivered). 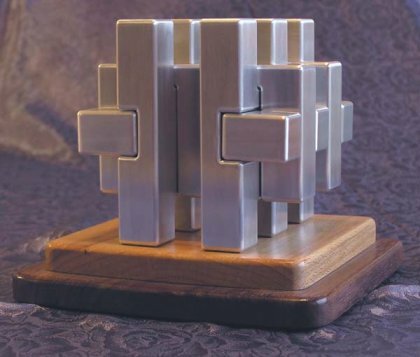 When fully assembled, Symmetry III forms a 4" architectural metal cube weighing 3.5+ pounds! This is a limited edition; each sculpture is dated and numbered. 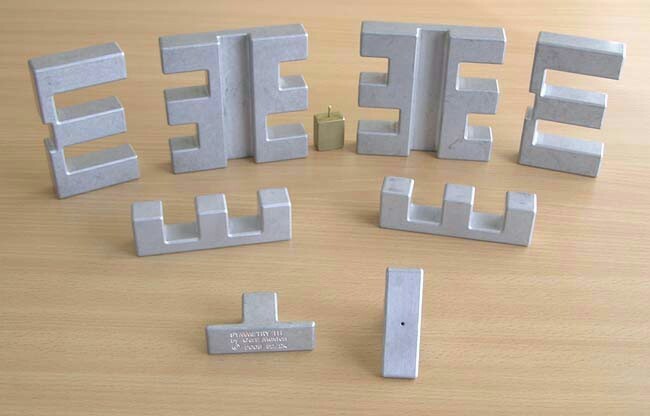 A certificate of authenticity, the special key for the locking mechanism and complete assembly information are included with each sculpture. Symmetry III comes ready to assemble! Symmetry III offers a very pleasing architectural appearance. This sculpture is designed with eight interlocking elements made from aluminum. Included in the design is a locking mechanism that keeps this sculpture intact when picked up. The list price on Symmetry III is £380. 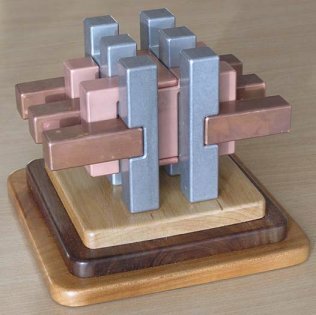 The sculpture can be acquired with a 3 step walnut and maple wood base that costs an additional £40. Shipping boxes have an individual compartment for each piece to prevent any damage during shipping.